John Wesley School in Pinetown, KZN, is celebrating 29 years in education since its official registration with the Department of Education in 1989. However, John Wesley School has actually been around for a lot longer than that. Below is a brief history of our incredible school and the phenomenal growth we have experienced since our humble beginnings. 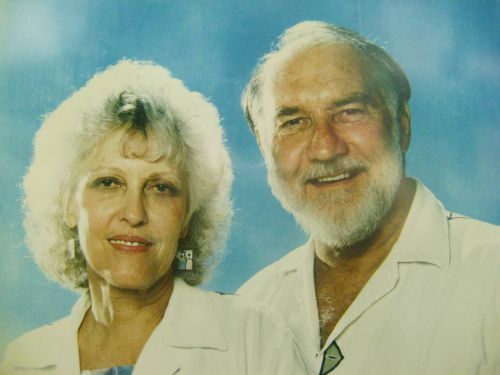 In 1977, a pre-primary programme for 10 children was started by Lynn Jolliffe, the wife of the then Pinetown Methodist Church’s minister, Reverend Derek Jolliffe, in their garage. In 1979, the little school known as “Happy Days” moved to the church premises and grew to 75 children. In 1987, in defiance of the apartheid policy, the next minister, the late Reverend Ray Light welcomed increasing numbers of black children. To ensure they continued to enjoy a better standard of education, volunteers converted the Church basement to accommodate 25 Grade 1 children in 1989. 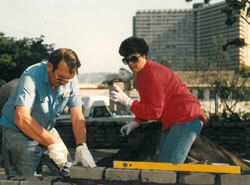 Permission to develop a primary school was subsequently obtained and John Wesley School was officially registered with the Natal Education Department on 2 November 1989. A generous donation from the Anglo American and De Beers Chairman’s Fund and others, enabled the John Wesley School building to be expanded, furnished and equipped by the end of 1990. In January 1991, the number of learners increased to 100 Junior Primary pupils. Church volunteersAt the end of 1990 permission was obtained from the South African Government to occupy the partially fire-damaged buildings, situated on 10 acres of parkland known as Pineholme in Bamboo Lane, Pinetown, not far from the Church. Volunteers from the Church, assisted by a few parents, began to renovate the buildings as funds became available, to accommodate an Educare Training Centre and facilities for a Grade 4 classroom. In 1992 the Pineholme property was donated to the Pinetown Methodist Church by the South African Government for its educational ministries. 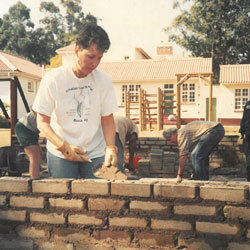 Another donation followed in 1995 from the Anglo American and De Beers Chairman’s Fund, resulting in the building of the school on the Pineholme premises, complete with School Hall, Media Centre block, and 12 classrooms. As the vision unfolded it was apparent that accommodation was required for learners who lived too far from the school, so the Hostel was built and completed by the end of 1999. In 2000 the decision was made to move the Pre-Primary and Junior Primary sections from the church premises to join the Senior Primary at the Pineholme campus, to create a unified school. We always strive to achieve excellence and we recognise that sport plays a crucial role in the development of our children. A state-of-the-art 25 metre swimming pool was built in 2011, and a combi-court and modern cricket practice nets were completed in 2012. Hard-working church volunteersAt John Wesley School we utilise sport as a learning tool, providing our children with the opportunity to improve their health, social skills and confidence and enhance and refine their overall body condition. Hard work, perseverance and teamwork are core values at John Wesley School. We believe that our diverse extracurricular sporting programme instils these values and perfectly complements the enrichment and direction that John Wesley learners receive in the classroom. Our extracurricular programme includes rugby, cricket, soccer, netball, squad and general swimming, girls’ and boys’ hockey, girls’ touch rugby, athletics, cross country, volleyball, mini cricket, mini soccer, mini netball, mini hockey and high performance training. With the addition of an extra Grade 1 class in 2013, Grade 2 class in 2014, Grade 3 class in 2015, Grade 4 class in 2016 and an additional Grade 5 class in 2017 further development and expansion at the school has taken place. Since 2005 learner enrolment has increased by 88%. From its foundation, John Wesley School has had a Christian ethos. It has become a well-established, progressive and widely recognised multiracial, co-educational Pre-Primary, Junior Primary and Senior Primary School that currently has an enrolment of just under 600 learners.